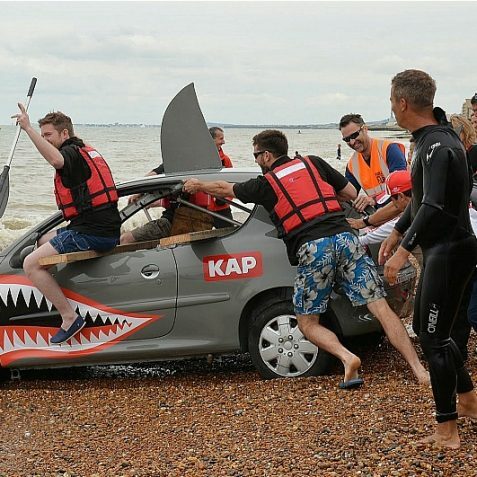 Click on a thumbnail to open a large image in a new window. 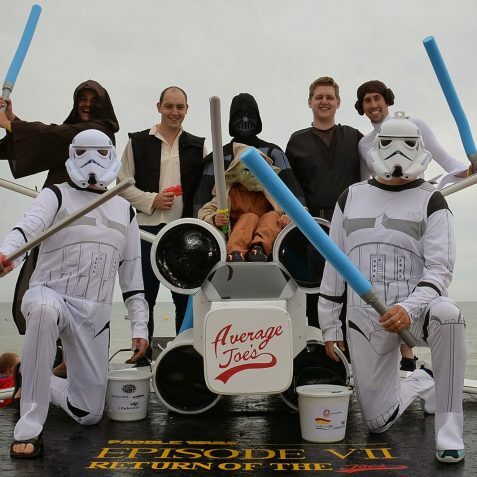 Despite a dark and wet start to the day, this year’s Paddle Round the Pier escaped the rain. 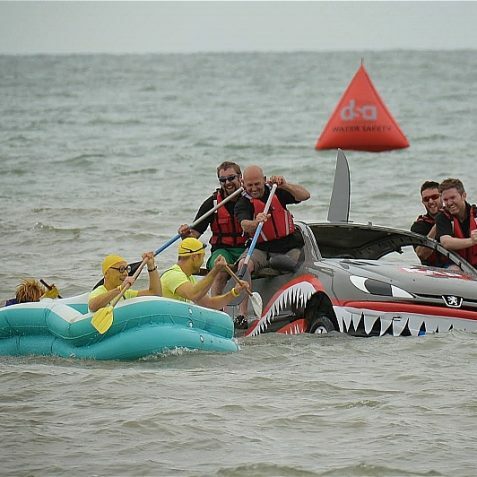 One of this country’s largest beach events, it is all about having fun, and raising money for worthy causes. 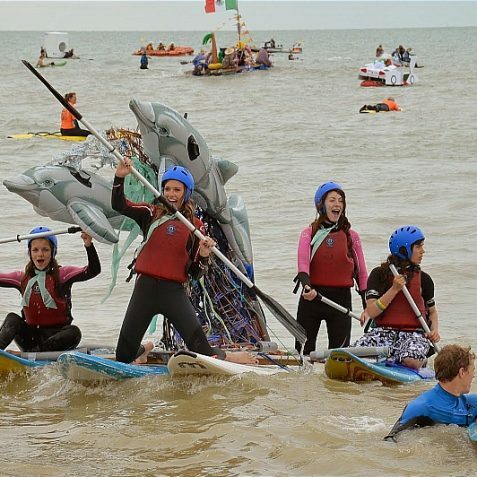 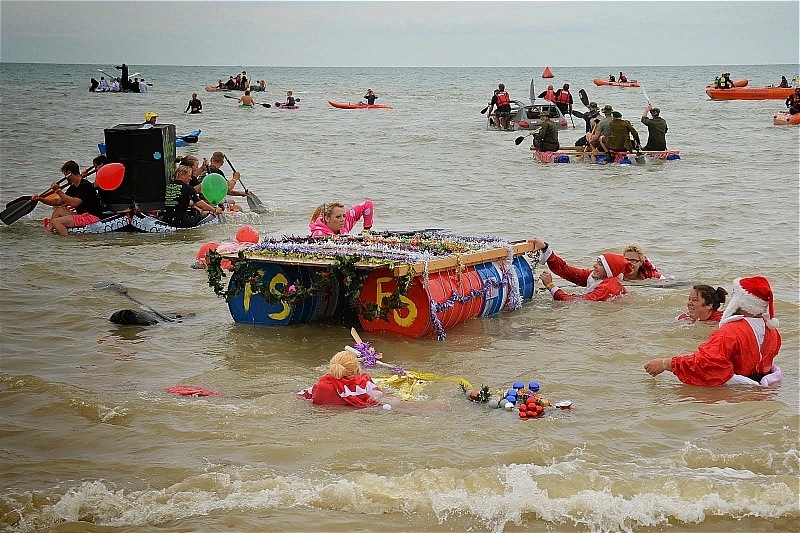 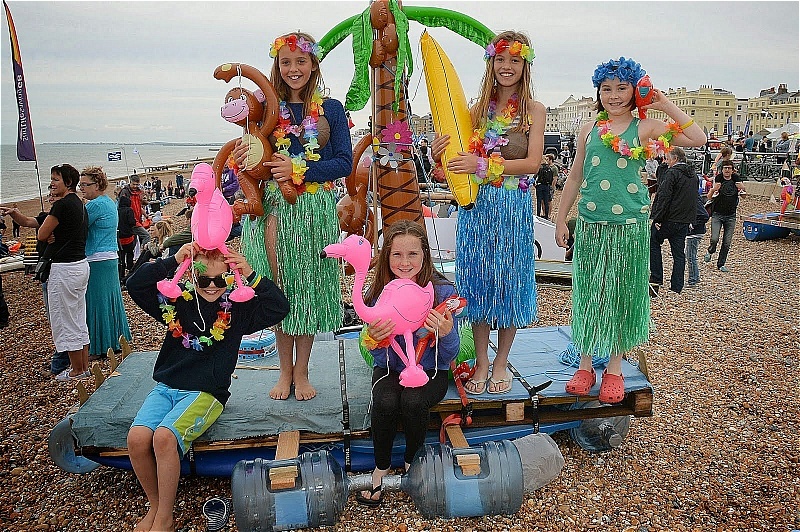 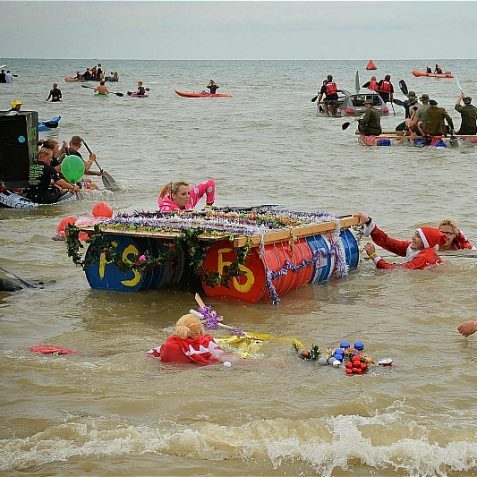 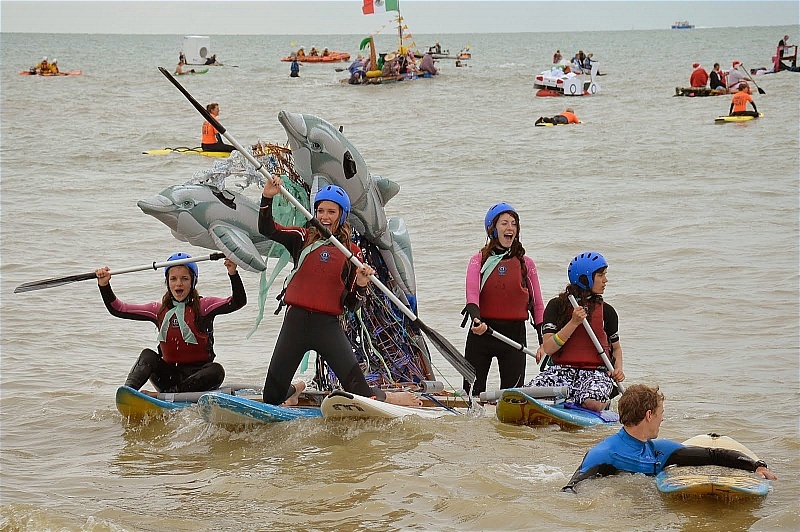 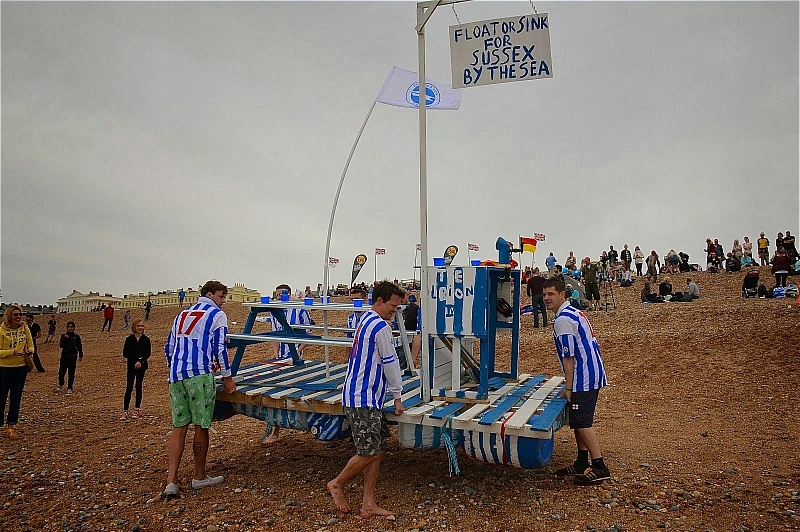 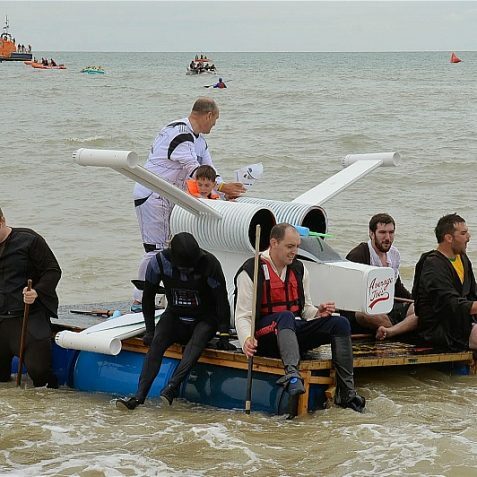 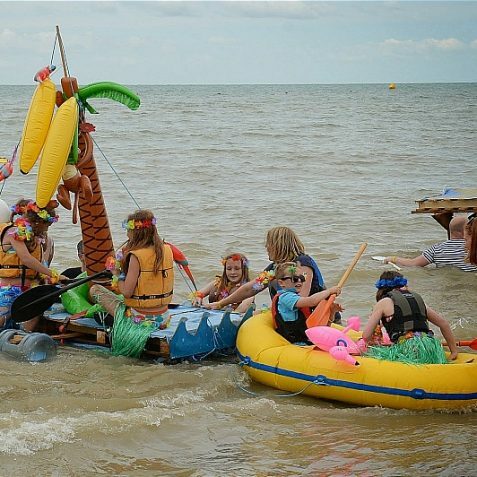 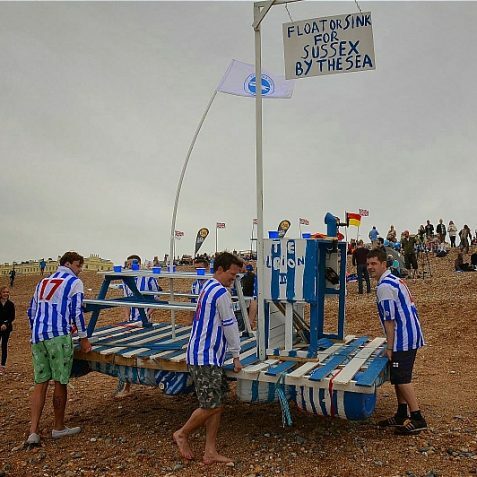 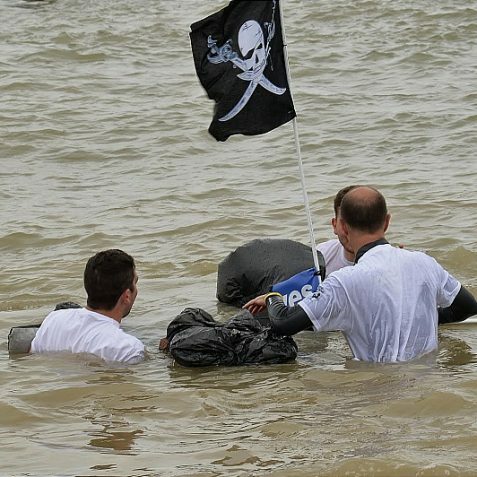 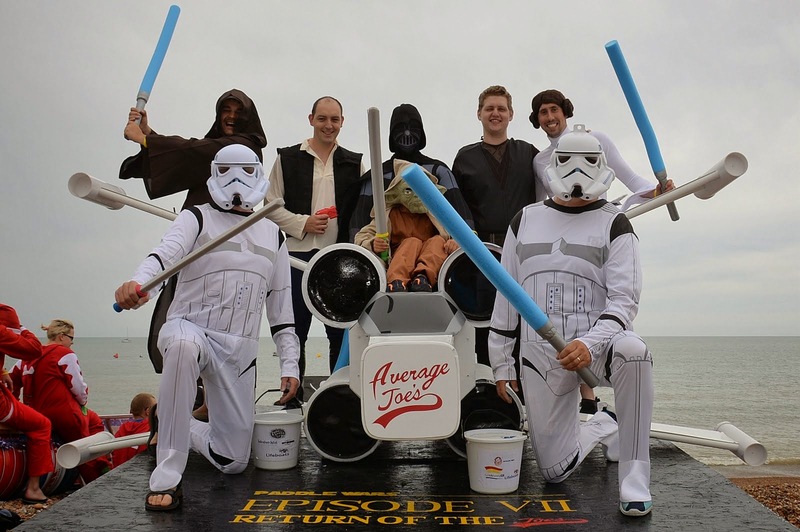 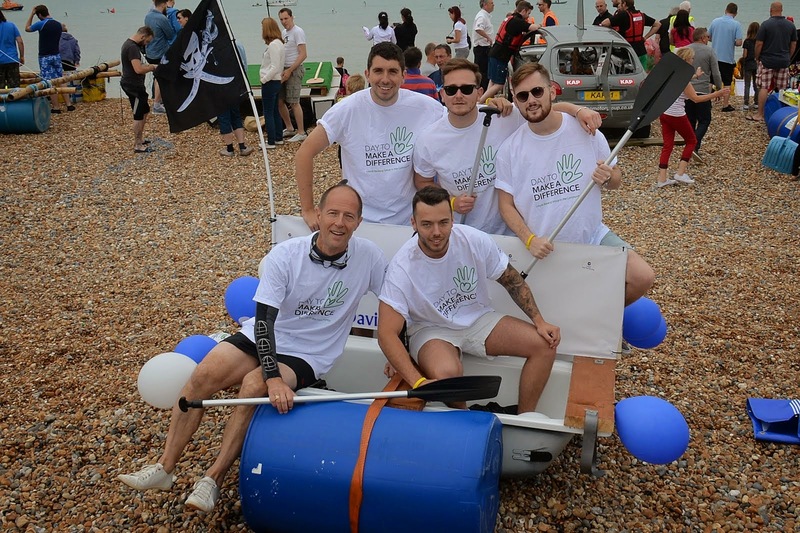 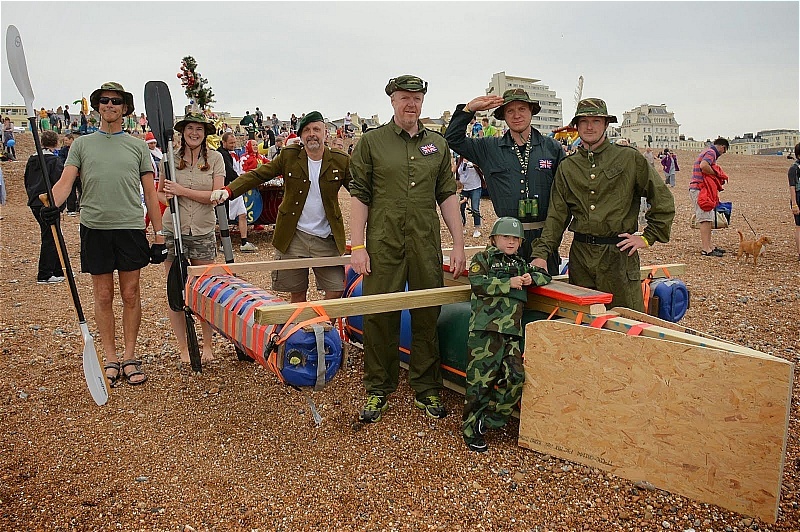 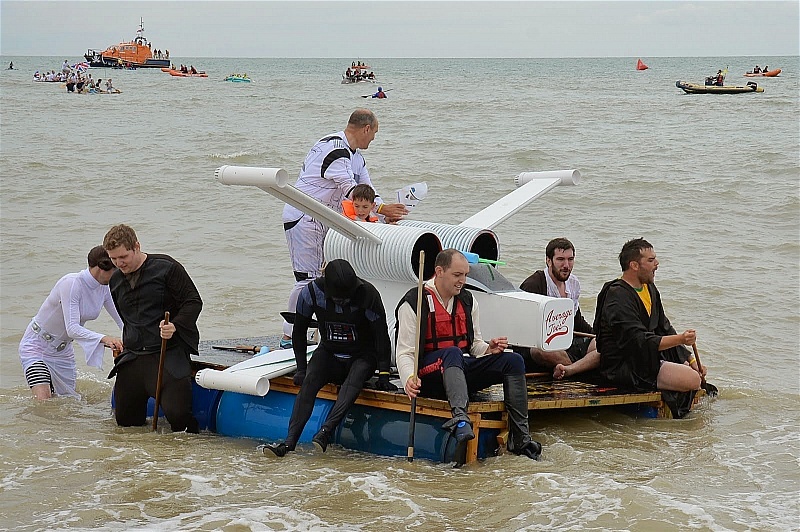 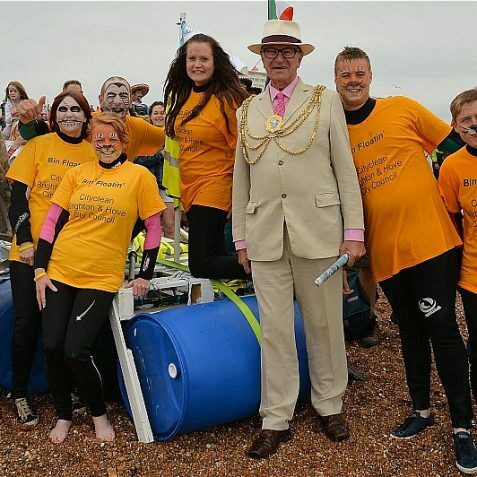 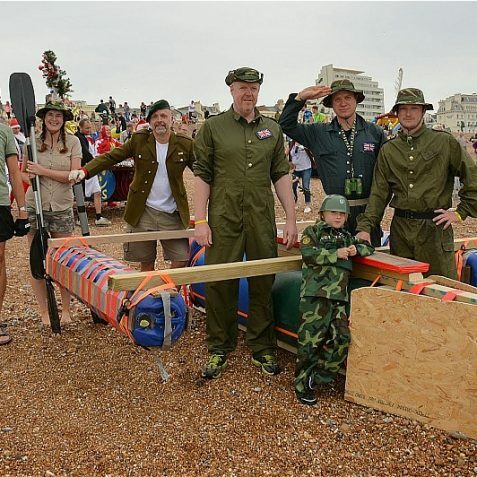 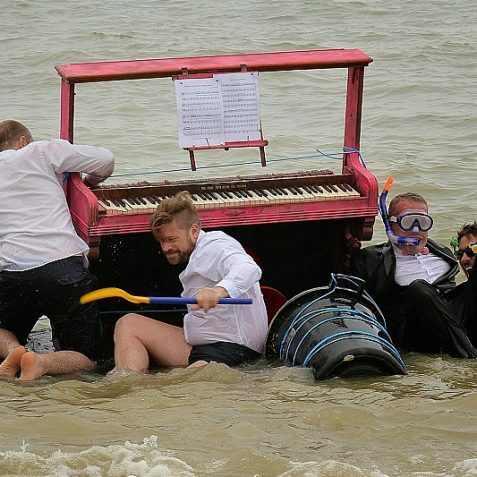 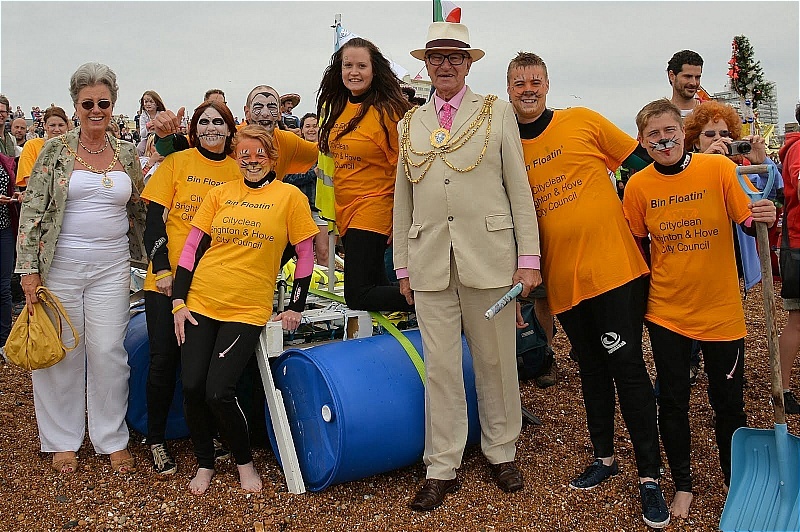 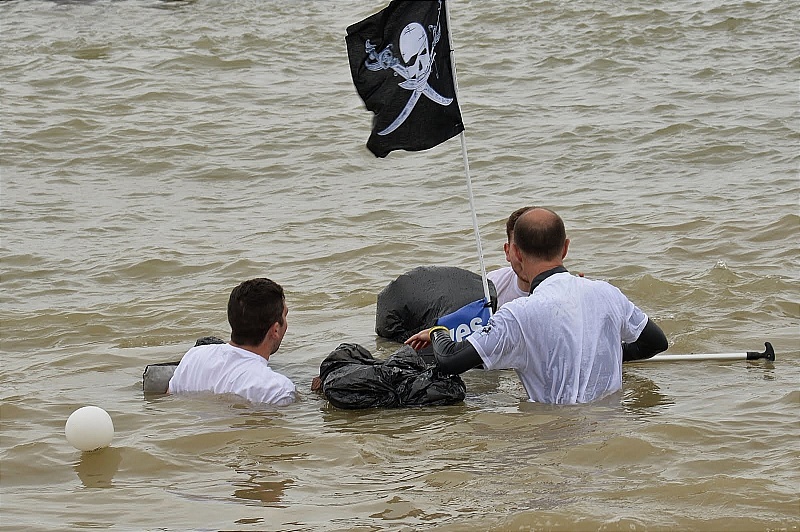 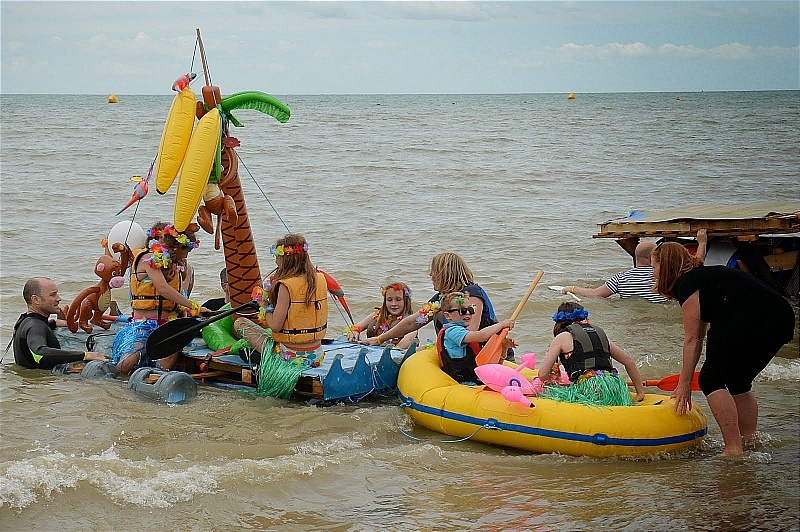 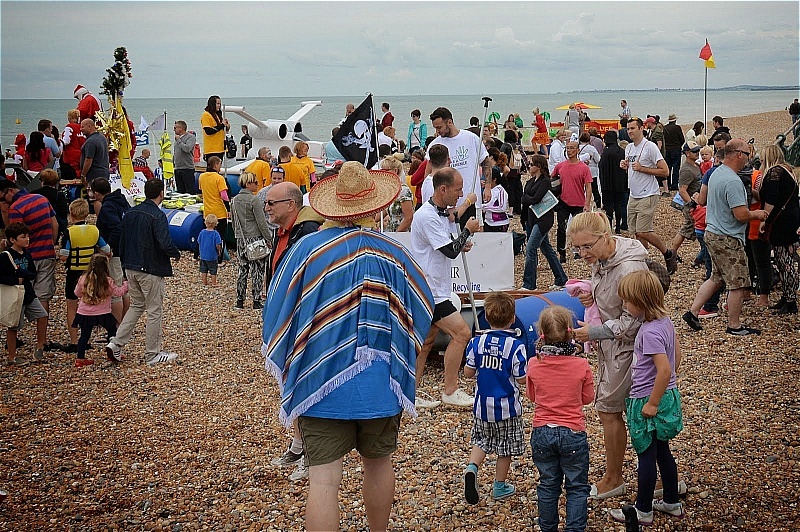 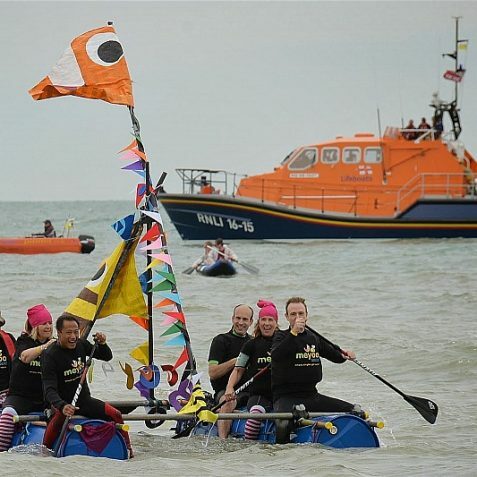 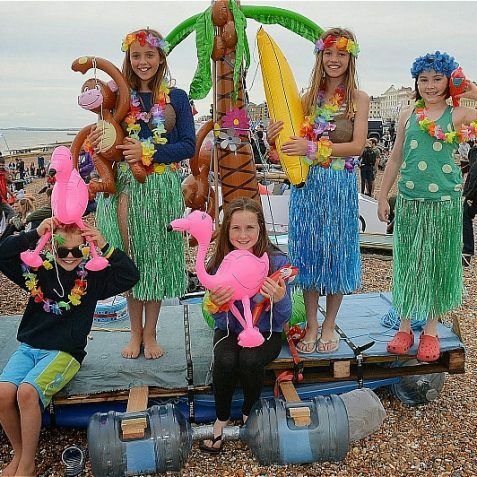 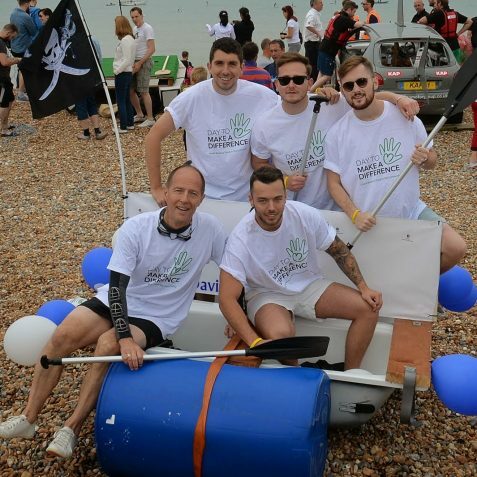 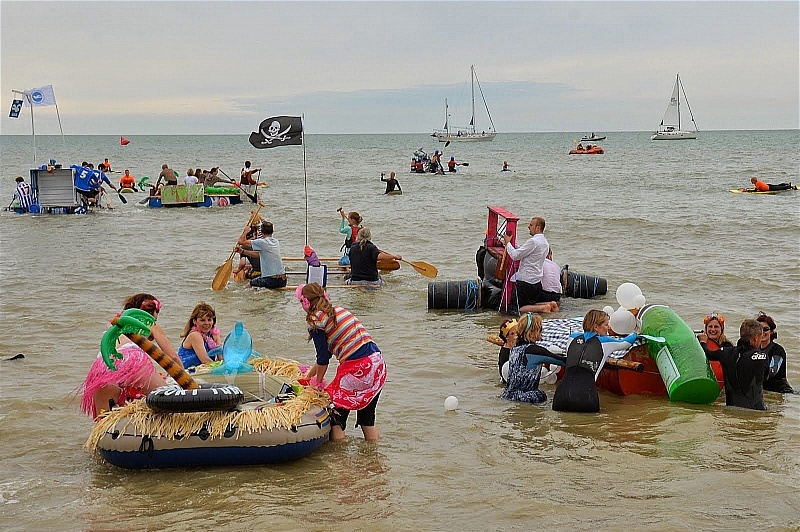 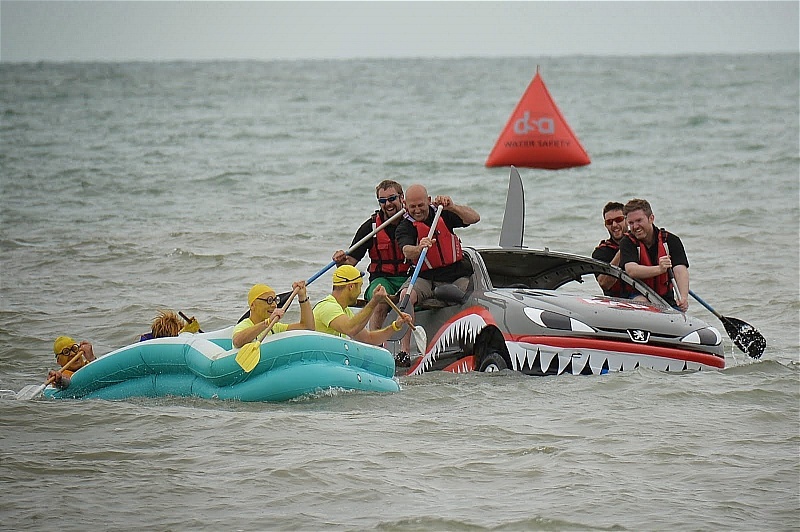 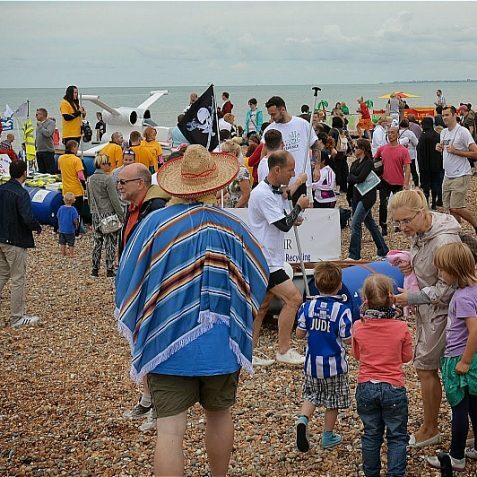 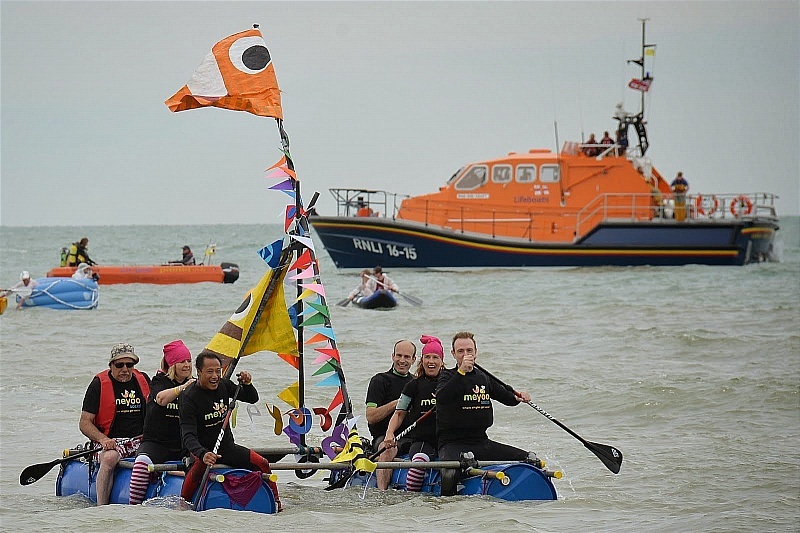 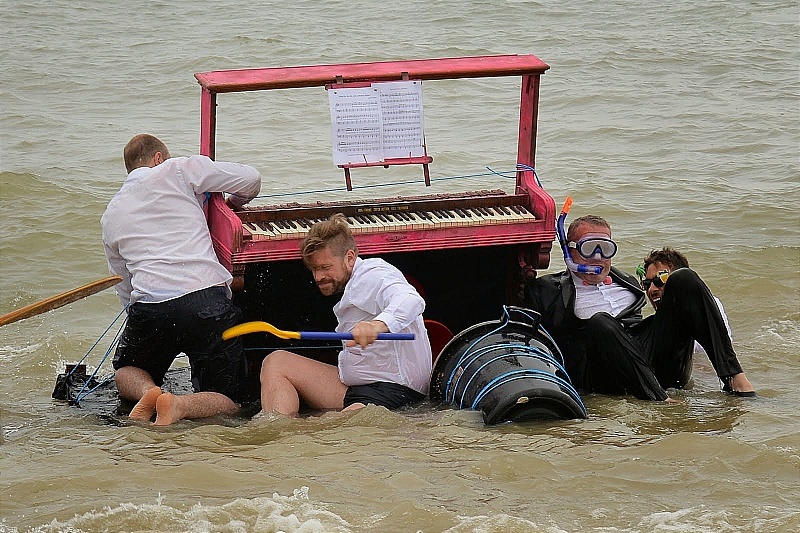 The event, which has been staged since 1996, is run entirely by volunteers, from the cleaners to the water safety and has raised over £100,000 pounds for charities whilst at the same time giving a lot of fun to a lot of people. 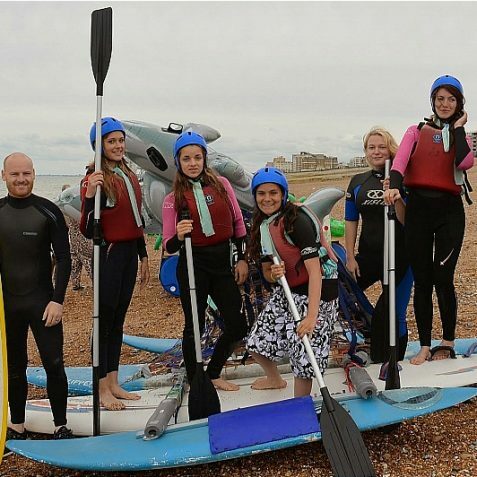 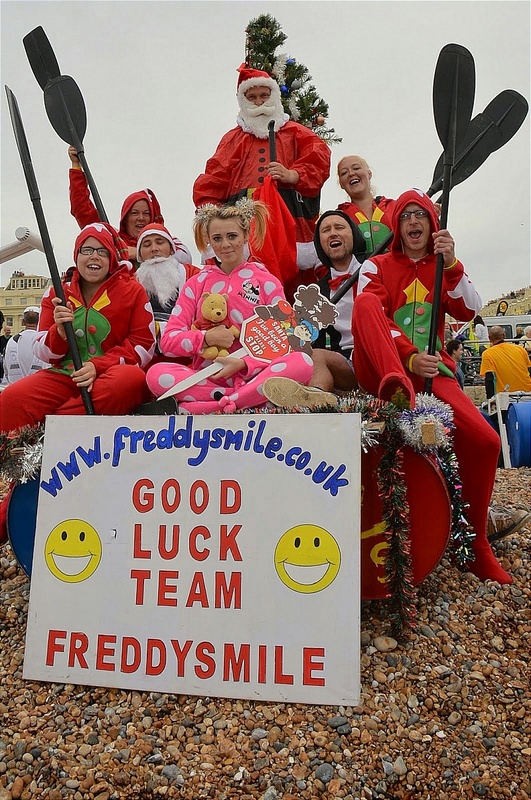 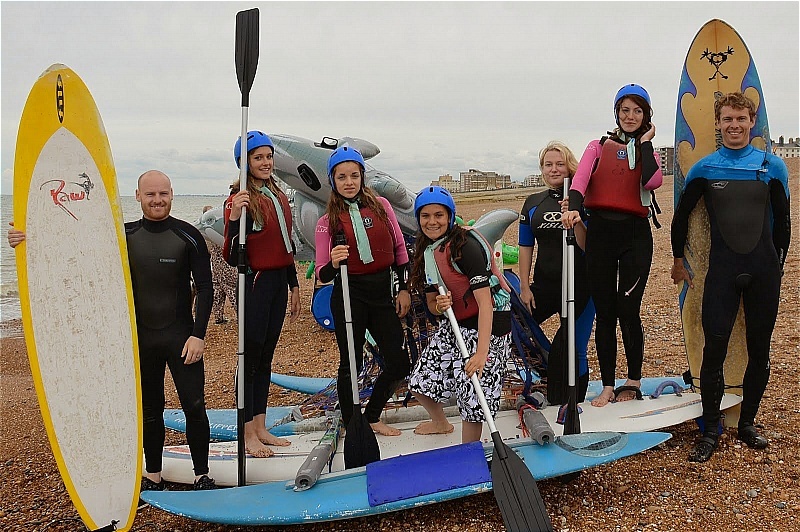 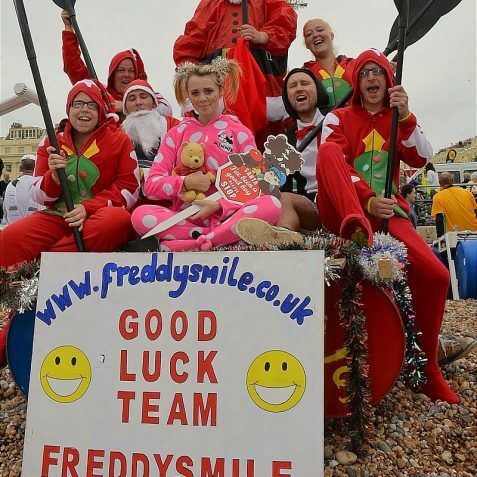 This year their nominated charities were, The RNLI; Freddysmile; Surf Life Saving GB. 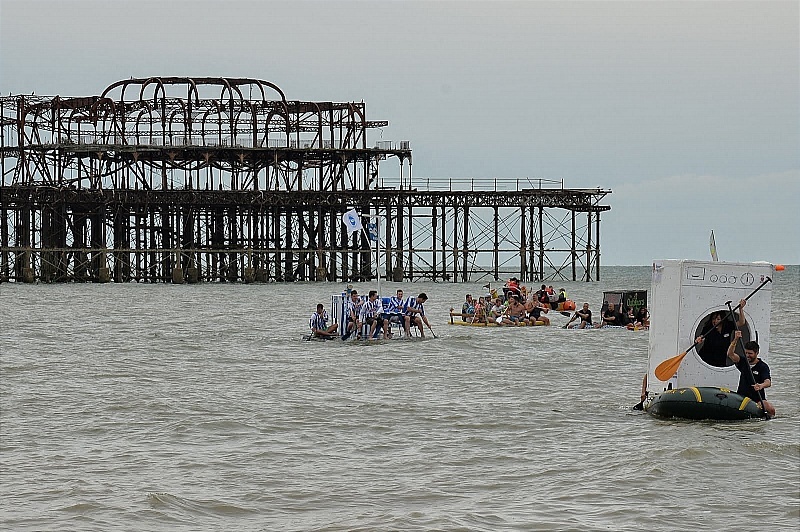 Back in 1954 three friends and I had two kyaks and, just for a run on the sea with them, we used to go from Dalton’s beach (that is the one second from the Palace Pier), out under the middle of the pier and on to the West Pier, under that, then turn out to sea and paddle around the head of the pier and back to the Palace Pier, around the head of that and back to the beach. 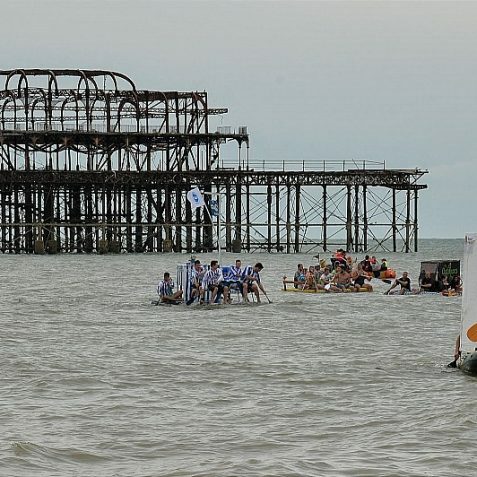 At times when the speed boats ran from the Palace Pier with trippers, the drivers used to think it was a bit of fun to run near to us and turn us over. 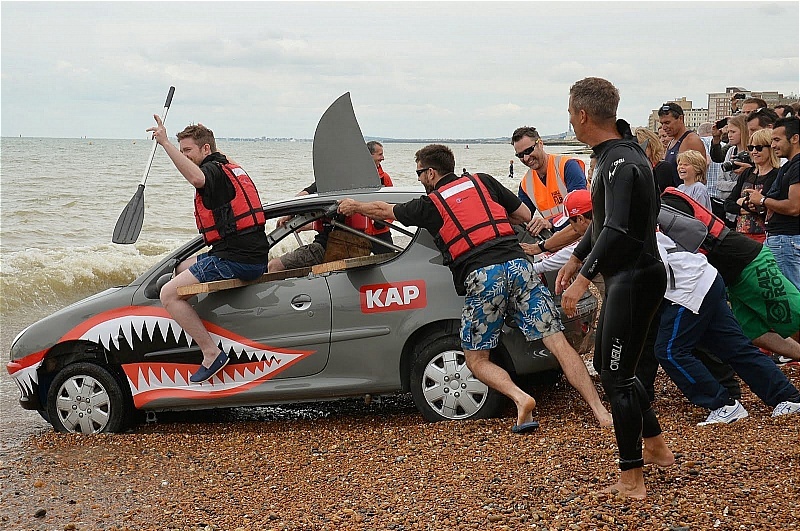 We then had to swim back to the beach pushing the kyak back with us. 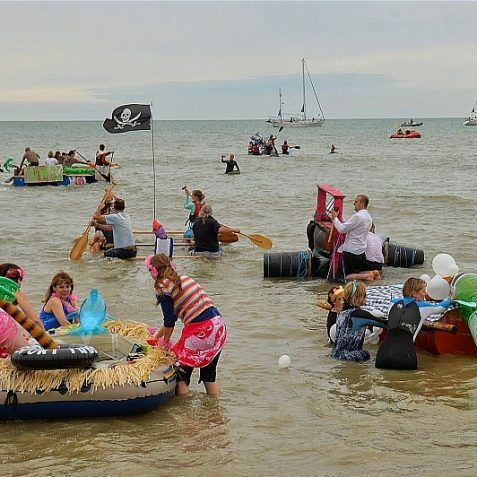 Just imagine what would happen today – we would have been able to sue the boats for this and no health and safely then!